Wilhelm Wundt was a German physiologist and psychologist, who is widely credited as the founder of experimental psychology. Wundt is also acknowledged as one of the greatest and most influential psychologists of all time. 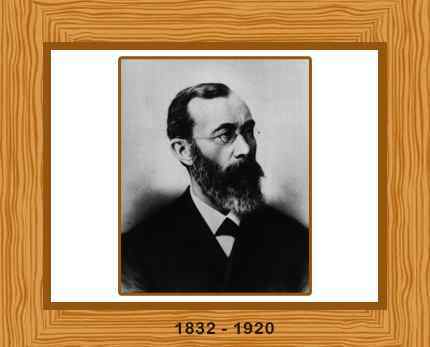 Born at Neckarau, Baden on 16 August in 1832, Wilhelm Wundt was the son of a Lutheran minister. Wundt received a medical degree at the University of Heidelberg in 1856. He also attended the Universities of Tübingen and Berlin. After teaching physiology at the University of Heidelberg, Wilhelm Wundt joined Hermann von Helmholtz as an assistant in 1858. During this time, he wrote “Beiträge zur Theorie der Sinneswahrnehmung” (Contributions to the Theory of Sense Perception). As one of the early pioneers of scientific psychology, Wundt introduced the usage of experimental methods in psychology, therefore minimizing the role of rational analysis. After succeeding Helmholtz, he investigated the immediate experiences of consciousness, such as sensations, ideas and feelings, and wrote “Grundzüge der physiologischen Psychologie” (Principles of Physiological Psychology), which still remains one of the most influential works in the history of psychology. It also explored the fundamental concepts related to apperception (conscious perception) and introspection (conscious examination of conscious experience). During his tenure as professor at the University of Leipzig in 1879, Wundt built the first psychological laboratory ever. He also published the first journal of psychology, “Philosophische Studien” (Philosophical Studies) in 1881. Some of his later works also included “Grundriss der Psychologie” (1896) and “Völkerpsychologie” (1900–20). Wilhelm Wundt died on August 31, 1920 in Grossbothen, Germany. He was 88 years old.